When people ask me what I do, I always run into a bit of trouble. Some parts of my professional identity are straightforward: Writer. Teacher. But then there’s the bit about PAAC that I never know quite how to explain. It’s not a church. It’s not a non-profit (yet, at least). It’s an… online community? That started as a Facebook group but is now a lot more than that? I’ve settled on “I oversee an organization for progressive Asian American Christians.” This description is vague and incomplete, but our language has not caught up with the alchemy that’s happening on the internet. Progressive Asian American Christians started as a beautiful accident. Two years ago, I had a revelation about why church had been so hard for me for the past decade: As an Asian American Christian who’s politically, socially, and theologically progressive, I usually have to make a choice when it comes to finding a church. I can attend a progressive church that shares my theology and values but is mostly white, or I can attend an Asian American church that shares my racial and cultural experiences but is conservative. In essence, I have to choose between integral parts of myself. As I was writing this piece, which I had titled “The Loneliness of the Progressive Asian American Christian,” I hung out for the first time with a pastor named Lydia Suh (now Shiu) – another progressive Asian American Christian woman. I told her about the piece I was writing, and she told me that she had just started a Facebook page called “Progressive Asian American Christians.” Huh, I thought. What are the odds. When I was ready to post the piece, I got Lydia’s permission to link her Facebook page, which by then she had turned into a group. The group drew three hundred people by the end of the first day, a thousand by the end of the first week. But more significant than the numbers was the energy that these people brought with them: They immediately started sharing their stories, discussing complicated topics, offering empathy and support and resources. Soon there were more posts and comments than we could keep up with — and folks started asking when we could meet in person. And Lydia and I started receiving the loveliest messages of how the group had changed people’s lives: People who told us they finally had a space where they felt at home – where they weren’t on the margins, as they were in their conservative Asian American churches or in their mostly-white progressive churches. People who had stopped going to church, tired of not fitting in anywhere, who told us this was the first spiritual community they’ve had in years. People who told us they had been on their way out of Christianity until they found this group. I had hoped that a few people would find the Facebook group meaningful, but I had not expected that people would find it to be a place of real belonging. Even more remarkable to me was what this sense of belonging unlocked, both in individual members and in the group as a whole. We heard stories of people who felt called into ministry as a result of being in the group or reclaimed calls into ministry that had laid dormant for years. We heard stories of people becoming allies and activists for LGBTQ affirmation after hearing the experiences of queer members of the group. We heard stories of people who had been scared to press too hard on certain parts of their faith, afraid it would crumble, who were finally able to wrestle with questions they had been unwilling to ask before and come out the other side with a deeper, more nuanced understanding of God and God’s work in the world. The sense of belonging to this community and having every part of their identity affirmed therein was transformative: It empowered people to be themselves and to take risks in ways that were previously unthinkable. And the collective resources of the group, coupled with the relationships that had formed within it, yielded incredible fruit: Lent and Advent devotionals that spoke to our experiences. A weekly blog series about Asian American identity. A powerful counterstatement to hate masquerading as Christianity. The first national gathering of queer Asian American Christians. The seeds of a literary magazine. The beginnings of progressive Asian American churches. It seems like after years of feeling isolated and marginalized, the sense of belonging that people experience in the group was the catalyst for new and fruitful work to begin. And since there’s such a need for progressive Asian American Christian ideas and collaborations and art and resources, belonging feels like just the beginning. PAAC now has over 6,000 people in the main Facebook group and 30 “subgroups” based on identity, interest, and location; meetups have taken place in 21 cities; it has a podcast, a national conference, and an online intentional learning community. I’m still not sure what to call all of this. Is it a church? A future non-profit? A movement, as some in the group refer to it? I’m not sure we have the language for it yet. Whatever it is, I could not have anticipated that it would sprout from a Facebook group and an online article – but the fact that it did gives me great hope for the future of religious communities. All we needed for all of this to begin was a space for people to connect. To belong. Who in your life or your community needs a place to belong? With the tools we now have at our disposal, how might you create a space for this person to connect with the people they need? 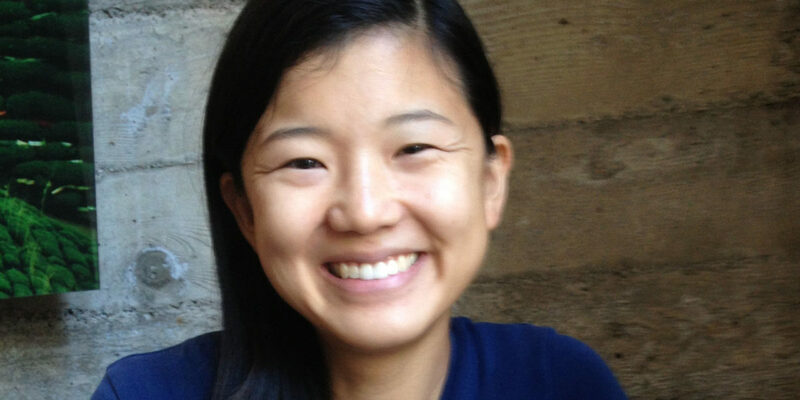 Liz Lin, PhD, is the co-founder of Progressive Asian American Christians, a senior fellow at Newbigin House of Studies, and a race and culture writer. She has a PhD in clinical psychology, as well as master’s degrees in theology and psychology, from Fuller Theological Seminary. She lives in Ann Arbor, MI with her spouse and two children. You can find more of her work at mynameiselizabeth.com.